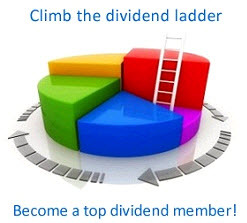 In addition to the cash dividend, companies may issue stock dividends or split their stock. Since stock dividends and stock splits are quite similar, we treat them together. We begin with examples of these two strategies. Next, their benefits and costs to the firm are discussed. Imagine a company with 10,000 shares of stock, each selling at $60. With a stock dividend of 10 percent, each stockholder receives one additional share for each 10 that he or she originally owned. Therefore the total number of shares outstanding after the dividend is 11,000. Note that the stockholders receive no cash and that each shareholder's percentage of the total outstanding stock remains the same. Thus a case can be made that a stock dividend is of no value to the firm. More will be said on this later. A seemingly arbitrary accounting procedure is used to adjust the balance sheet after the stock dividend. Since 1,000 new shares are issued, $12,000 (1,000 X $12) is transferred to common stock after the dividend. The market price of $60 is $48 above the par value. Thus $48 X 1,000 = $48,000 is shifted to the excess capital account. Because the total value of owner's equity is unchanged by a stock dividend, $60,000 is withdrawn from retained earnings. There is actually a good reason behind this procedure. Accountants fear that stock dividends could be used to impress a naive stockholder, even if the firm is doing poorly. This type of accounting treatment limits this possibility, since a stock dividend can never be greater than retained earnings. 18. Dividend Policy: Why Does It Matter? Note that for three of the categories the figures on the right are completely unaffected by the split. Only the par value is changed, being reduced here to $4 per share. Since stock dividends and stock splits are similar, the dividing point between them is arbitrary. The laws of logic tell us that stock splits and stock dividends can (1) leave the firm's value unaffected, (2) increase the value of the firm, or (3) decrease its value. Unfortunately, the issues are complex enough that one cannot easily determine which of the three relationships holds. A strong case can be made that stock dividends and splits do not change either the wealth of any shareholder or the wealth of the firm as a whole. For example, imagine a firm with $100 of earnings and 100 shares outstanding, implying EPS of $1. With a price-earnings ratio of 10, the price per share is $10 and the total market value of the firm is $1,000. Now imagine a 2-for-1 stock split where the number of shares rises to 200 and EPS falls to $0.50. Given the same P/E ratio of 10, the value of each share of stock is now $5. However, with twice the number of shares, the value of the entire firm is still $1,000. The wealth of each stockholder remains the same since the doubling in the number of shares is offset by the halving of the stock price. This result is sensible because (1) total earnings of the firm are held constant, and (2) the percentage of the firm owned by each investor is unchanged. The same results would hold for a stock dividend. Imagine that the total number of shares is increased by 10 percent to 110. Given that EPS drops to $100/110 = $0.90909, the price per share should fall to $9.0909. Therefore the total value of the firm should remain at $1,000. The wealth of each stockholder should not change because, as with a split, the percentage of the firm that each investor owns remains the same. Although these results are relatively obvious, they are developed in the idealized world of a perfect capital market. The typical financial manager is aware of many real-world complexities, and for that reason the stock split or stock dividend decision is not treated lightly in practice. Proponents of stock dividends and stock splits frequently argue that a security has a proper trading range. 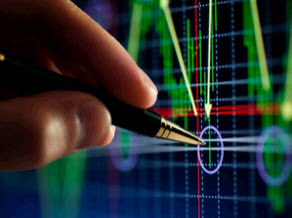 When the security is priced above this level, many investors do not have the funds to buy the common trading unit of 100 shares, called a round lot. Although securities can be purchased in odd-lot form (fewer than 100 shares), the commissions are more expensive here. Thus firms will split the stock to keep its price in this trading range. Although this argument is a popular one, its validity has recently been questioned.35 Mutual funds, pension funds, and other institutions have steadily increased their trading activity since World War II and now handle a sizable percentage of total trading volume. Because these institutions can buy and sell in such huge amounts, they would not regard securities in the popular trading range with any special favor. In fact, whether because of the rise of institutions or some other factor, odd-lot trades comprise a quite small proportion of the market today. Copeland finds that brokerage fees, measured in percentages, increase after a split. This result is not surprising, since most published price lists of commissions show that brokerage fees for low-priced securities are a larger percentage of sales price than they are for high-priced securities. For example, commissions are generally higher for 400 shares of a security selling at $10 than for 100 shares of a security selling at $40. The bid-ask spread is the difference between the price at which you sell a security to a dealer and the price at which you buy a security from a dealer. For example, a bid-ask spread of 49 1/2-50 means that an individual can sell a share to the dealer at $49.50 and buy a share at $50, implying a round-trip loss to the investor of $0.50. Copeland finds that the bid-ask spread, expressed as a percentage of sales price, rises after a stock split. This finding is consistent with other work showing that the bid-ask spread is higher in percentage terms for lower-proceed securities.37 The data suggest that the benefits to the stockholder associated with a stock dividend or stock split are not clearly greater than the costs to him. A less frequently encountered financial maneuver is the reverse split. In a one-for-three reverse split, each investor exchanges three old shares for one new share. The par value is tripled in the process. As mentioned previously with stock splits and stock dividends, a case can be made that, in a theoretical model, a reverse split changes nothing substantial about the company. Given real-world imperfections, three related reasons are cited for reverse splits. First, transactions costs to shareholders are often less after the reverse split. This follows the conclusions of Copeland that brokerage commissions per dollar traded rise as the price of the stock falls. Second, the liquidity and marketability of a company's stock are improved when its price is raised to the "popular trading range." Third, stocks selling below a certain level are not considered "respectable," implying that investors bias downward their estimates of these firms' earnings, cash flow, growth, and stability. Some financial analysts argue that a reverse split can achieve instant respectability. 35For example, see T. Copeland, "Liquidity Changes Following Stock Splits," Journal of Finance (March 1979). 36Although Copeland's empirical work included only stock splits, the same factors should apply to the stock dividend case. 37See H. Demsetz, "The Cost of Transacting," Quarterly Journal of Economics 82 (February 1968); and H. Stoll, "The Supply of Dealer Services in Securities Markets," Journal of Finance 33 (September 1978). £ r ------• What is a stock dividend? A stock split? o \ ? 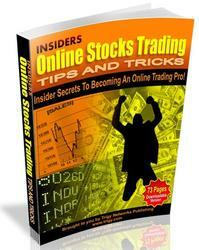 • What are the values of a stock dividend and a stock split?